Walking distance to downtown historic Fernandina and a bike ride to the beach!! This newly renovated bungalow has been updated from top to bottom! New roof, new porch steps and rails, new board & batten siding, HVAC unit, new vinyl plank flooring in all areas downstairs with carpet upstairs in the 2nd and 3rd bedrooms & tile in bathroom. Beautiful & spacious bathroom with huge walk in shower & new double vanity sink. Kitchen sports all new stainless appliances and quartz countertop! 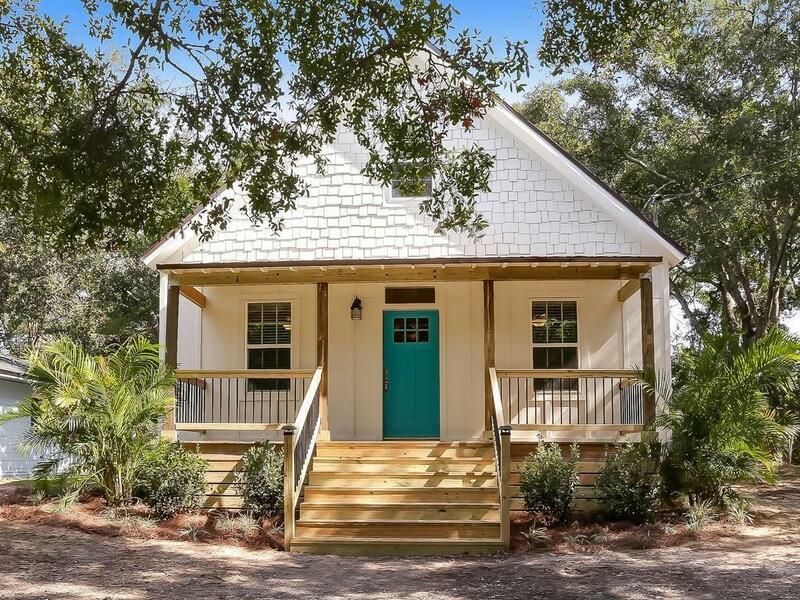 This home is cute as a button!! Outside this 75’ wide lot offers enough room on right side to add a building or possibly a small garage. Home has been newly renovated to have an open floor plan through living and dining room and a newly expanded master bedroom downstairs.